The Fire TV Recast (starting at $229.99) makes watching over-the-air television broadcasts as simple as asking Alexa for your favorite show. You connect the Recast to an HD antenna, and then it can pick up broadcasts from all major networks in your area, like ABC, CBS, FOX, NBC, PBS and the CW. Instead of having to remember when your favorite shows come on — a major annoyance of watching broadcast television — you can ask it to record your favorite shows using Alexa. It has its own channel guide, which makes recording as simple as telling Alexa to record your favorite show. Once recorded, it can stream shows to Fire TVs, Echo Shows, and Android and iOS tablets. The downside to the device is its need for extras. 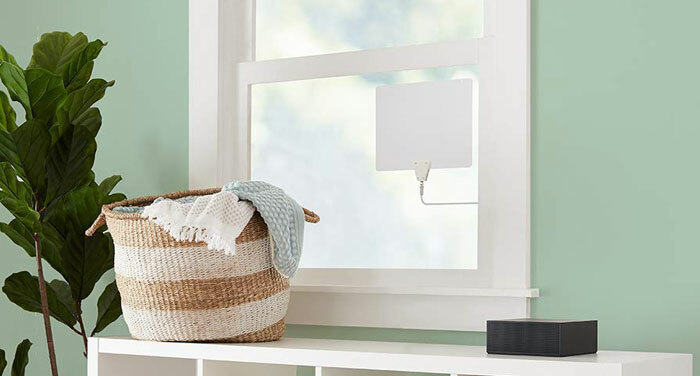 You'll need to have or buy an HD antenna to plug into it (metro area antennas with a 25-mile range, like the Mohu Leaf Metro, start under $20, check price on Amazon). And while you can stream to most smartphones and tablets, you'll need a Fire TV device to stream to your television, adding another $30 (Fire TV Stick is currently on sale) or more per television in the household. But those are one-time fees. So it's a price that we think is worth it for easy access to network broadcasts — including sports and live events, which are traditionally hard to find streaming. The Fire TV Recast comes in two sizes: a 500GB model ($229.99) that can record 75 hours of shows and a 1TB model ($279.99) that can record 150 hours worth of shows. You can pre-order either model now, and it will ship on November 14.